Govind Sreenivasan's excellent new book is a major contribution to both the literature on peasants in European society and to Early Modern German History in general. 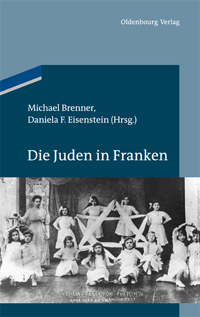 This book is based on the extensive archival records of the Benedictine monastery of Ottobeuren in Upper Swabia, near the imperial city of Memmingen. Sreenivasan was able to trace the economic life of the monastery's villages from the late Middle Ages to the eighteenth century. The author displayed a truly impressive array of statistics in 35 tables, 52 graphs / figures and two maps. In contrast to the traditional emphasis on the unity of the peasant community (Gemeinde), Sreenivasan sees a major divide in village life between the "full" peasants (Bauern) and the cottagers (Söldner). The pillaging of the Ottobeuren monastery on 30 March 1525 during the Peasants' War was largely driven by these poor cottagers. For Sreenivasan, the Peasants' War was not a revolution, but "another episode in the time-honored process of negotiation for advantage between the peasants and their overlord" (39) which in this case spun out of control. Shortly after the monastery was plundered, the more prosperous peasants were again negotiating with the abbot, who had been forced to flee. As the rural population grew in the course of the sixteenth century, the monastery intervened around 1560 to close the villages to new households and to stop the division of the farms into smaller plots of land. After this point the designated heir to the family property would buy out his retiring parents and his "yielding" (non-inheriting) siblings. Many village youths had to try to make their fortune elsewhere in order to preserve the viability of the large farms. Sreenivasan was able to trace the economic rise or fall of many families over the course of several generations. Below the level of the poor cottagers were the vagrant families, whose numbers are difficult to estimate. In the parish of Westerheim, which had particularly good records, during the five year period from 1616 to 1620, "one in every twelve infants baptized [...] was the child of vagabonds" (231). These vagrants worked odd jobs or begged as they traversed the countryside. 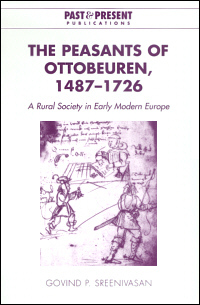 The villages of Ottobeuren continued to produce a sizeable grain surplus until the 1630's when the horrors of the Thirty Years War finally hit. The author vividly described the suffering caused by the looting and extortion by the Swedish and Imperial armies and the resulting starvation and demographic collapse. By the late 1630's the population around Ottobeuren "seems to have fallen to a fifth of its former size" (289). The recovery after the Peace of Westphalia was slowed by the complex problems of abandoned land and the unpaid debts of the war years. Prosperity returned as the peasants increasingly ignored the monastery's restrictions that they were legally obligated to market their surplus produce at Ottobeuren and the peasants sought out the markets with the best prices, especially Memmingen. Before 1630 the spinning of linen thread was a widespread trade practiced in villages around Ottobeuren. After 1630 this trade was joined by linen weaving and other trades normally monopolized by the urban guilds. During the early sixteenth century the economic life of the region was characterized by barter and the hoarding of coins. By the late seventeenth century this gave way to a much more monetarized economy and a sophisticated knowledge of the price differences of the surrounding markets, even markets as far away as Switzerland. Even village wives seemed to have participated in this growing economic sophistication. The book focuses overwhelmingly on property, demography, and inheritance practices and seeks to address broad questions in Economic History. The Reformation, Counter-Reformation and popular religion are only occasionally mentioned, in part, because the episcopal visitation records of Ottobeuren were destroyed during World War II. This book is likely to become as classic in its field because of the detailed picture of economic life in peasant villages.